Read why our customers love us and keep coming back! Your car deserves the best! Our shop knows just how to diagnose and repair even the most difficult problem! From imports to domestics our mechanics know what they are doing! We all love our automobiles, whether it's driving 200 mph on a race track, cruising on Lake Shore Drive or Pacific Coast Highway rediscovering the magic of Route 66 or driving down Main Street. There's nothing like getting behind the wheel of our favorite car or truck. The key is keeping that special feeling over time. Vehicles need maintenance and repair to keep them running at peak performance, and the best place to take your car or truck for all of its servicing needs is to Ted's Auto Clinic. 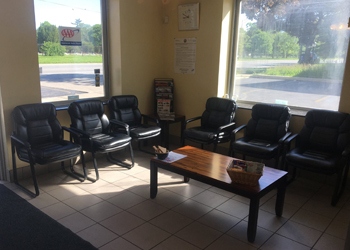 Ted's Auto Clinic is different, in that, as a family owned and operated business we treat our customers and their vehicles as we treat our own. We offer not only the best customer service, highest quality parts, and highly qualified staff, but also the peace-of-mind that only a family operated facility can provide when it comes to getting you on the road safely and reliably. 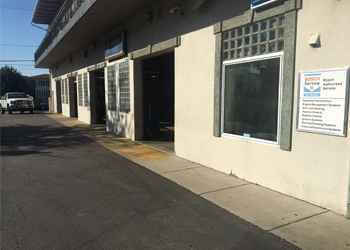 Ted's Auto Clinic is a full-service auto repair and preventive maintenance center. We have been performing our high quality and guaranteed automotive repairs in the Chicago area since 1983. We are conveniently located for your service and maintenance needs and we are qualified to repair and service; domestic, Asian, and European vehicles using parts that are equal to or exceed the standards of those parts originally used by the manufactures. We are definitely the cost- effective alternative to car dealership servicing for all scheduled maintenance of your personal or company auto, pickup or truck. Regardless of where it was built, we will service your vehicle and still maintain the manufacturer's warranty. We pride ourselves on getting the services or repairs on your vehicle right the first time by our highly qualified service technicians. So drop your; auto, SUV, or truck off today and allow us to provide you with excellent service. We look forward to servicing your vehicle. So please visit us and experience the advantages that our family owned service center offers you. At Ted's Auto Clinic our goal is to keep you vehicle on the road for many years of driving enjoyment. Experience the advantages that Ted's Auto Clinic, Inc. offers you. Ted is the best. He and his family are the nicest and most honest people I know in the auto repair industry. They have serviced my family's vehicles for many years now and have always done excellent work on all accounts, and at fair prices too. They've even taught me a thing or two about cars during my experiences there! I will get my car serviced here as much as possible going forward. Let's be honest, going to a mechanic is like going to the dentist, you hate to go unless you really need to. Unless you are a certified mechanic or know someone you TRUST, it's very hard to get good service or at least a good honest price. I have been here once before for failed emissions, fixed btw. Now that the frigid Chicago weather has arrived, my 04 Altima started having steering "stiffness". I can handle simple jobs like brakes, tune ups, and oil changes. But I don't have all the tools necessary for a "big job". With that said, I researched my cars symptoms and came up with 1) bad steering pump, 2) u joint of lower steering rack 3) rack and pinion (huge $$$$). I emailed George about my issue, asked specific prices, set up an appt and told me how long it would take. The next day it snowed and was (very) late for my appt, but George still took my car in as Walk-in although they had several cars in there already. One of the mechanics (I'm assuming that's Ted) took it for a test drive, brought it in the shop and 15 min later, a diagnosis. U joint lower steering rack. Price tag $275 including the price for diagnosis. From the time I took it in and when it was done 4hrs later,1 hr faster than was expected (diagnosis, ordering the part,and installation).The main thing I really want to point out is, they will not give you outrageous prices, they will not add on parts you do not need, (in my case can't afford), George is a very honest guy with honest prices. Don't try bringing in a part you bought from eBay or any parts store because they will not install it, which is not a big deal because their parts are covered by a 2 yr warranty/24,000 miles. This shop is very friendly and very good customer service. Thanks! Found my new local shop. This place is AMAZING! My usual mechanic was not answering the phone, so I jumped on Yelp and found this place.George was efficient, kind and personable! He quoted me a fair price for a new ignition switch, but said the rest of the car was in poor shape. His recommendation? Save my money and get rid of the car ASAP! Who does that? This guy is a rockstar!!! I've moved out of the neighborhood but still come back to have my car serviced. Ted and his team are a breath of fresh air in a world where "everything car" can get overwhelming. It's a great place for a female to bring a car - they're never condescending, will answer all questions thoroughly and make sure you understand - they'll even show you under the hood! Ted and his guys take great care with their customers' cars - I don't think you can find a better price anywhere for such great work. Great experience. The staff is friendly. They fixed my car in a timely manner. I'd go back to them again. There are very few times and places in life you feel as welcome and as free as you will with Ted at his shop!! From the minute I called to the minute I showed up it was nothing but smiles and satisfaction!! I came with a car that broke down on 294 got towed by his buddy didn't have to pay upfront! On top of that he gave me a free thorough Check up and even though eventually the bear ate me and didn't have a chance to rebuild that car. Ted gave me an honest precise and very sound advice not to put an extra penny in that car any more. He even gave me almost a wk to figure out what to do with the car. The guy has no rush! !He didn't even charge me a cent! I live in Indiana but I'm a Ted customer for life you know where I'll be bringing in my new car for oil changes and service yes I'm not crazy and I will commute 2hrs to Teds from Indiana for an oil change!!! Ted is like a big teddy bear & so is the son we talked about everything from Greece to Ethiopia it's just that it would be weird for a guy to go kissing all the guys in there! But I would!! This was the 3rd time I took a car to this mechanic, and I gotta say that I've never had a better experience anywhere else. They do a very thorough job, and they're honest as well. You don't have to worry that they're gonna rip u off. On my last visit I brought them a used car that I was thinking of buying for a thorough checkup, and they actually saved me from getting ripped off. They found a bunch of things that were wrong with the car including the original mikes being turned back. Then when it came time to pay for the checkup he shook my hand and said, "Don't worry about it. This one's on me." You believe that? What other auto shop is gonna let leave without having to pay for their services? Needless to say, but this is my mechanic for life! If only everyone were like Ted, there would be world peace. No joke. Aside from the superb work they do, he is absolutely *the most* honest provider of any service that I have ever encountered. I realize there's a lot wrong with my poor little old car, but he is not pushy about the millions of other things that require some attention. He shows you the beat up dead parts and explains everything. His customer service is unbelievably stellar. They're fast, they're good, they don't drain your bank account, they rock. I wish I could clone Ted. I wish everyone were like Ted. If you don't take your car here for service, you yourself may have a few screws loose. As long as I'm with distance of Ted's, I am a 100% guaranteed customer for life.